As the distributor of the Storage Protocol test products of JDU we offer the Xgig and Bus Doctor product in the Benelux countires. 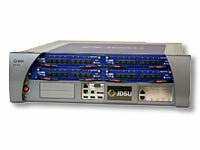 JDSU's protocol test solutions accelerate product development so designers can bring network equipment to market faster, reduce development costs, improve product quality and reliability, and ensure interoperability and compliance. Users gain unmatched visibility into network interactions for streamlined identification and resolution of even the most difficult network performance impairment and reliability issues. With advanced features such as intelligent triggering, hardware-based capture, and Expert analysis, they provide the ideal tools for designing the high-speed communications applications of today into the future. Multi-protocol environments increase network complexity, making it more difficult for developers to identify and troubleshoot problems, and the Xgig and Bus Doctor platforms offer the most trusted multi-protocol analysis tools for network development and monitoring. The Bus Doctor supports multiple serial and parallel bus protocols used in electronics and computing applications. For network and storage applications, the Xgig chassis hosts up to four blades coupled with a comprehensive suite of analysis software. It is the only protocol analyzer supporting multiple protocols in a multi-functionality environment at multiple data rates simultaneously, all within the same chassis, providing users with the utmost in scalability and flexibility. 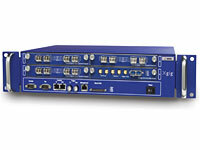 The proven JDSU analyzers carry engineers through initial product development, debugging, compliance verification, manufacturing regression testing, in-field troubleshooting, and even into the network to help administrators gain greater visibility into the data centers to maximize network performance and reliability.